A pair of our 6" beeswax tapers. 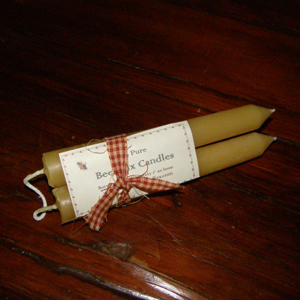 Buy five pairs of our beeswax tapers and get a sixth pair free! Just add all six pairs to your cart and the discount will be applied when you review your order.